Cudeman Olivewood Compact Outdoor Knife. 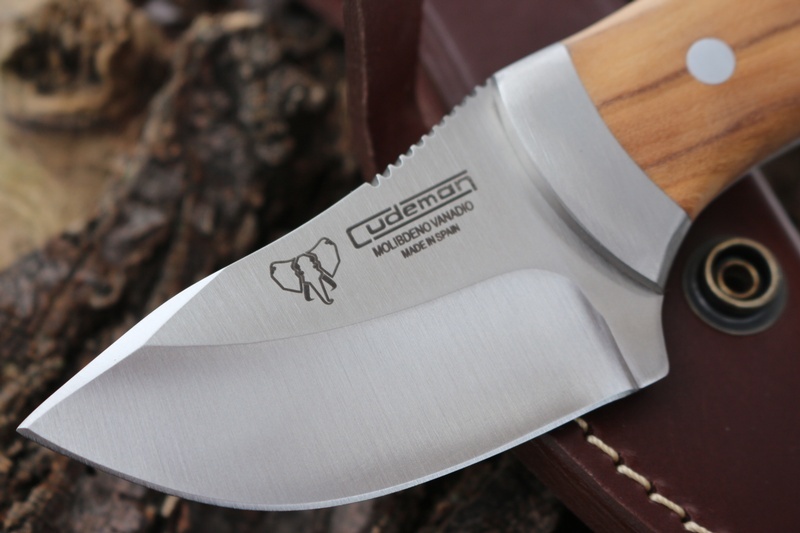 Very nice quality compact Outdoor knife (and skinner) from Cudeman of Spain. Highly useable knife this, with a good full grip handle and excellent blade. 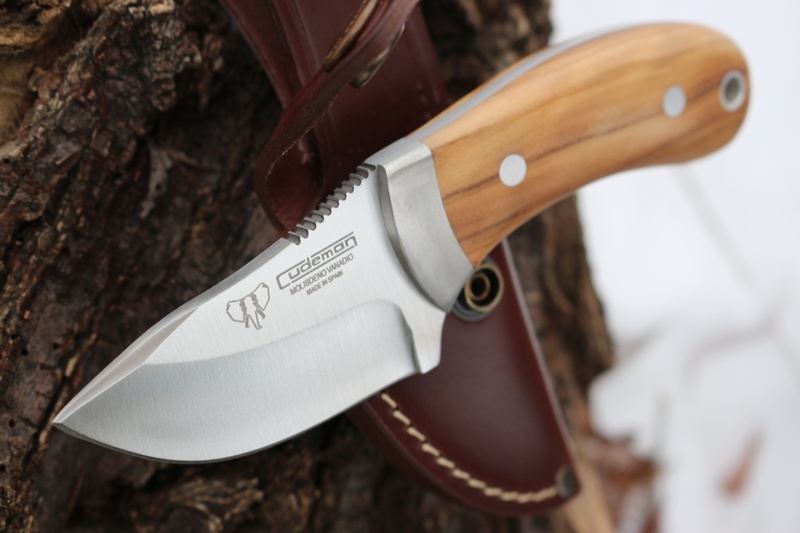 Great as a hiking companion, around the camp or as a back up, very capable and tough little knife. The blade is the M. Vanadium steel offering good edge holding and superior strength. Full SS bolsters, pins, full broad tang and SS lanyard hole withnice Olivewood slabs complete the small, but practical package. 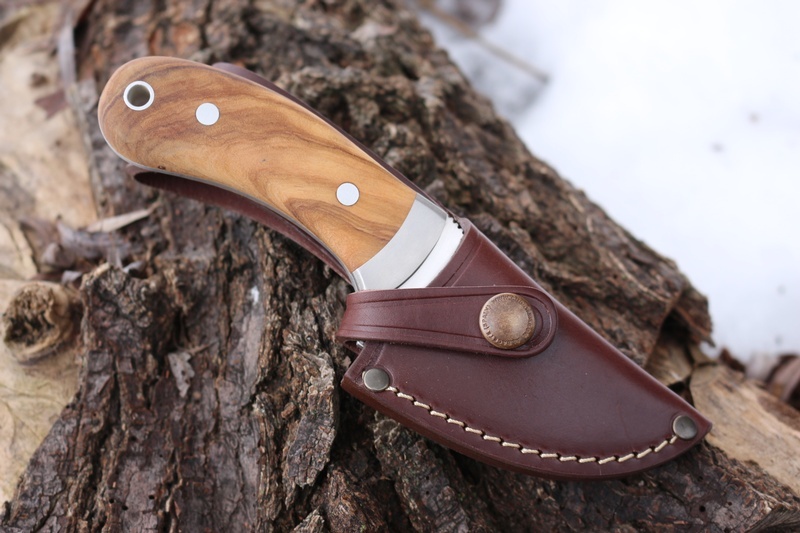 Made in Spain, comes with leather sheath, as shown in pics. 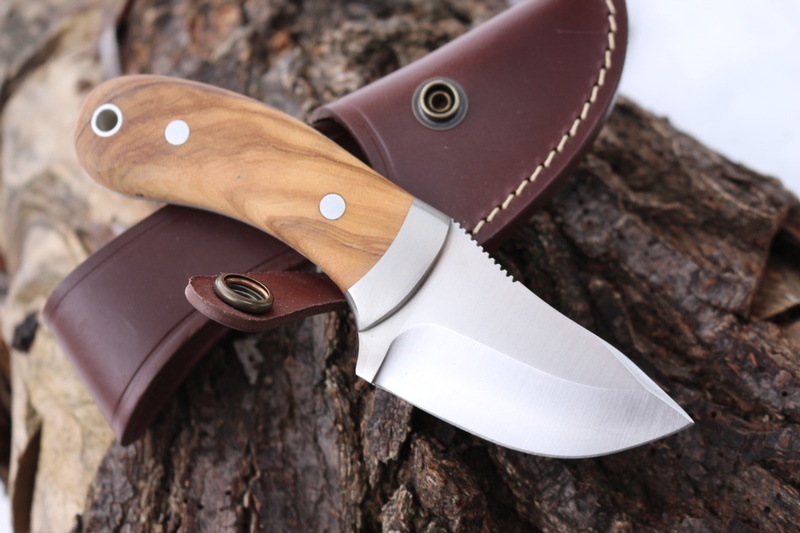 Purchase through PayPal by using the "Add To Cart" button above or use the form below to order the Cudeman Olivewood Compact Outdoor Knife . 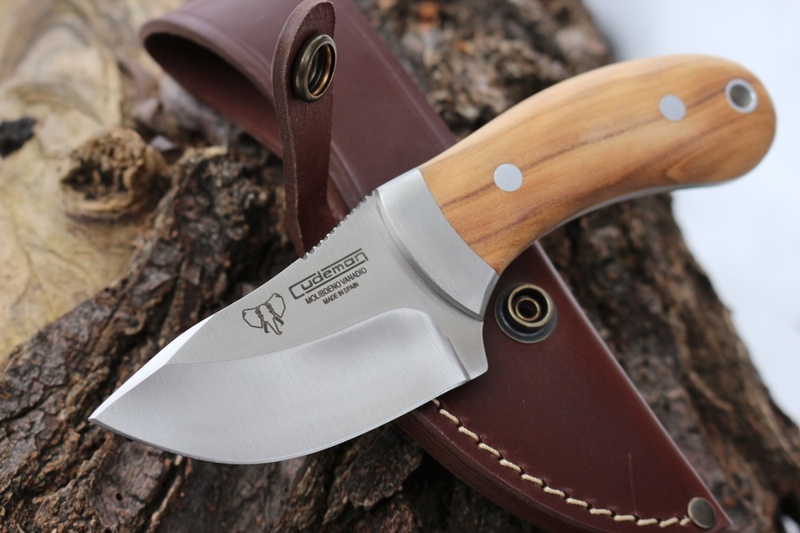 Feel free to contact us if you have any questions about the Cudeman Olivewood Compact Outdoor Knife .